Jerry Schilling was part of the “Memphis Mafia” and worked with Elvis Presley and Colonel Tom Parker. “I was at that late night meeting at the Las Vegas Hilton. Elvis wanted to tour overseas. He wanted to go to Australia. He wanted to go to Japan. The Colonel said, “if you go I am not going to go with you”. Elvis said “that’s fine, you are fired”,” Jerry tells Noise11.com. Colonel Tom made Elvis a star but after a decade Elvis was growing tied of him. “I think creatively Elvis outgrew the Colonel and that’s what caused a major conflict,” he says. “Musically and acting wise Elvis didn’t want to do at 30 or 35 what he was doing at 19 and 20 (nor would anybody else). 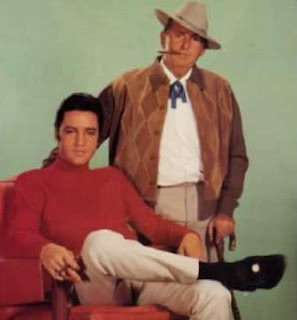 I lived and worked with Elvis and I was with Colonel Parker one day a week. As a young guy I learned a lot about the relationship between and artist and a manager. The manager must understand the creative needs of his artist. He doesn’t have to bring him ‘Sgt Pepper’. That is for the artist to develop and for him to get it done. The artist must understand what the manager needs to do to promote their artistic work. They need to understand each other’s role to make the whole thing successful”. Schilling says that despite his faults, the Colonel was a genius. “Colonel Parker is the most misunderstood person in the music industry,” he says. “He was brilliant in a simple way. He could outsmart any mogul or film company owner. Don’t ever say Colonel Parker wasn’t a brilliant guy. Creativity was not his best quality. He was the go-to bad guy. Colonel Parker was an honest guy. I used to dread going to work for him but at the end of the day it was pretty damn interesting. I became very close to him. I was the closest person to him in the last 20 years of his life”. Jerry Schilling was in Australia earlier this year for Q&A’s about Elvis. Priscilla Presley will return to Australia for encore performances in November. This is 40-year-old news, and Jerry admitted as such.